India and history are the two sides of the same coin. The soil of the country is soaked in the centuries-old history of bravery, chivalry, revolution, wars, freedom, martyrdom, subjugation, violence, and peace. Many episodes of the Indian history have been converted into dramatic stories which have found an audience even outside of India, while a few are still waiting to be heard by a global audience. One such story is that of Pratapgarh Fort, which is seldom told and heard beyond the demography of Maharashtra. 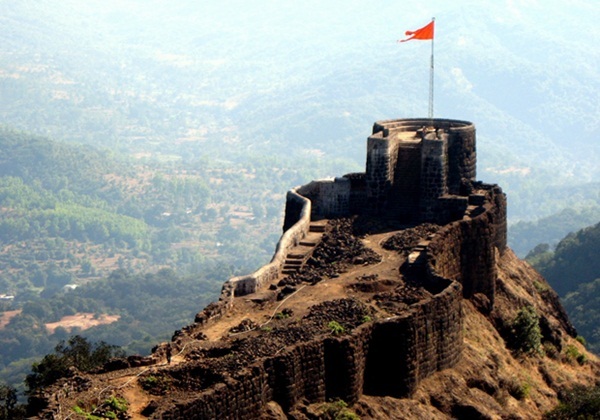 Pratapgarh Fort stands for the history, glory and pride of the Maratha community in India. 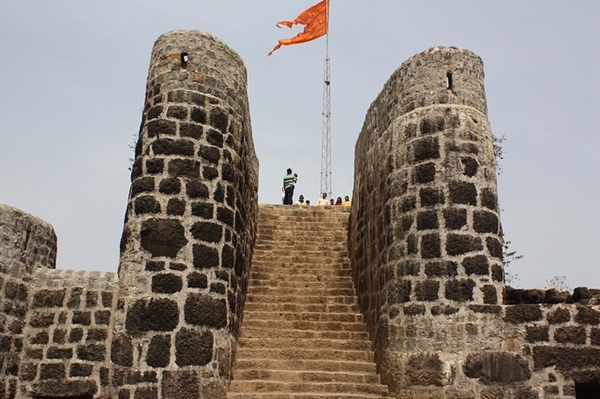 The fort itself is a living legend of the Maratha Chieftain Chhatrapati Shivaji’s landslide victory over Afjal Khan, chief commander of the Bijapur Sultanate. Evidently, the fort is a testimony to the then unconquerable power and indomitable spirit of the Maratha. Today, Pratapgarh Fort is not just a historic place but a tourist spot too. Thanks to this episode of the Maratha history! Really, the fort has the features of a tourist attraction – scenic landscape, lush greenery, serene surrounding and idyllic coastal setting. Built by Shivaji in 1656, Pratapgarh Fort is a strong citadel with sprawling complex on the Konkan coast, some 24 kms from Mahabaleshwar, one of the most popular Maharashtra hill stations. A fleet of 450 steps leads to the top of the fort, which commands 360 degree views of the horizon over the panoramic Konkan coast. There are ponds, chambers and gardens inside the fort complex at the base. The serene and green countryside around the fort makes a perfect hideaway for those looking to spend some time quietly. The dark paths from the complex, leading to the inside and penetrating the interior, reveal the enigma of the fort. The double-line fortification dividing the massive structure into two sections – the upper and the lower – is a rare constructional feature of Pratapgarh Fort. Built at a height of 1080 meters from the sea level, the fort is no less important than a pilgrimage spot to the people of the Maratha clan. 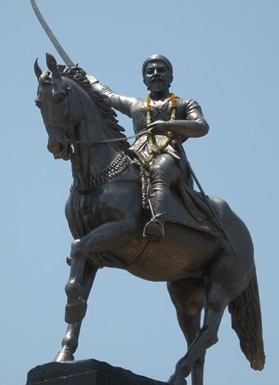 An equestrian statue of Chhatrapati Shivaji, which dominates the summit of Pratapgarh Fort, was set up in 1959, to commemorate of Shivaji’s historic triumph over the Bijapur Sultanate. Even a road was laid up to the fort, and a guest house was built in the fort complex for tourists. Besides Shivaji’s colossal statue, there is a temple of Goddess Bhavani is on the eastern side of the lower section of the fort, adding to the pilgrimage status of the place. A black stone idol of the deity presides in the shrine. Visit to Pratapgarh Fort is a good opportunity for the photographers to capture the natural beauty of the place in their camera lenses. This Maratha heritage has, unsurprisingly, secured a place for itself among the imposing forts of India, on the map of travel and tourism. Besides Pratapgarh Fort, there are several must-see tourist attractions in Mahabaleshwar, a hill station within short drive from Mumbai City. Indian Eagle books cheap flights to India from USA out of its respect for NRIs’ and American tourists’ love for the heritage of India. Cheap airline tickets for flights to Mumabi International Airport from major US cities are available on IndianEagle.com. All fort should be visited once in lifetime in the memories of our history.